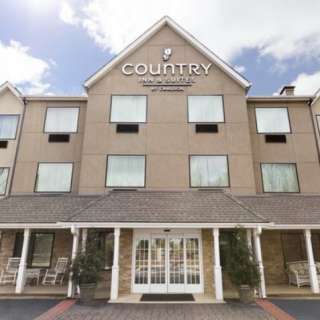 Our newly renovated hotel is conveniently located near the intersection of I-26, I-40 & I-240 which means you are only minutes from the Biltmore Estate and the vibrant, cultural center of Downtown Asheville. You are only 1 mile from guest favorite Discount Shoes, 1.5 miles from the Blue Ridge Parkway, North Carolina Arboretum and just 2 miles from the Western North Carolina Farmer’s Market. Biltmore Square Mall is across the street with an array of restaurants within walking distance (Oriental, Mexican, Greek/Italian, Seafood, American cuisine). Start your day with our “Be Our Guest” hot complimentary breakfast and plan your event filled day. We are only a short drive to WNC Agricultural Center, the Asheville Regional Airport, Harrah’s Casino, Cherokee Nation, Pisgah National Forest, Chimney Rock State Park, Lake Lure, Flat Rock Playhouse, Brevard Music Center and the Asheville River Arts District. Our standard rooms & 2-room suites (some with whirlpools) include 40 inch flat-screen TV’s with cable/HBO, fridge/microwave, iron/board, coffee maker, hair dryer, complimentary and reliable wireless Internet access throughout the hotel. Enjoy our fitness center with flat-screen TV and a seasonal outdoor heated pool. Complimentary fresh baked cookies & fruit available for guests every evening. USA Today newspaper is available Monday – Friday. Guests enjoy our “Read & Return Lending Library” and our lobby fireplace. We are 100% Non-Smoking and pet free. Be sure to read reviews for our hotel on www.tripadvisor.com and see what our guest say about their experience at our hotel.